I used these for the first time when I was in a hurry and just need to at a little bit of shadow to finish my look, it was a total disaster. I should have realized when I put my brush to the shadow and it seemed to crumble up, and powder was going every where, but I didn’t think about it. I tapped off the excess and placed the brush to my eye lid, to my shock and horror I now had pink eyeshadow all over my face…I actually think I had more eyeshadow on my face than my eyelid. I immediately cleaned it up and ran out the door. 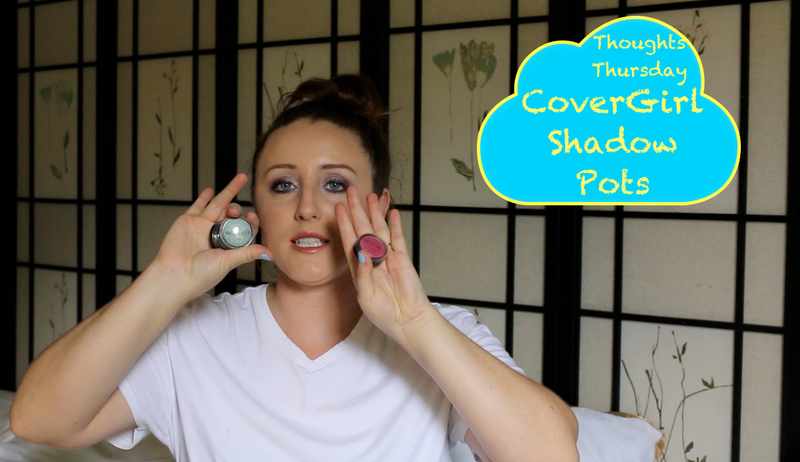 I then tried these shadows for the next four days trying to figure out a way they could be used without having powder go everywhere…I would learn that really the only way to apply this is wet, or very carefully with your fingers. These shadows are very pigmented on your fingers but they will need to be built up as the color transfer is actually terrible, you will also want a primer as they do crease and there is A LOT of color fade throughout the day. Also at my local Longs they had about 10 eyeshadow colors to choose from, the first thing I noticed was they are all shimmer shadows, there was not a single matte in this collection. Now I don’t know if it’s because they don’t have any matte or if my Longs is just pushing the shimmer, but it was disappointing to not have at least 1 matte that could be used as a base. All in all these shadows cost me $4.50 each when I could have bought the L’Oreal single eye shadows for $3.00, and the L’Oreal has better color pay off, a larger color range, and doesn’t powder so heavily. If you would like to see my full review video it is below….